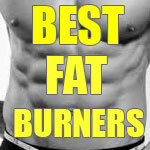 Thermogenic Burner VS8 is a fat burning product produced in New South Wales by Vital Strength. Like the other supplements produced by Vital Strength, Thermogenic Burner VS8 has been developed to assist the needs of athletic users, such as bodybuilders and runners. It is not marketed towards those who live less active lives. Unfortunately, the Vital Strength website is sadly lacking in information about how the formulation is likely to achieve the promised results. 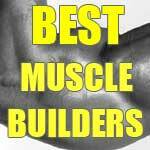 Site visitors are merely informed the ingredients work together to assist the conversion of carbohydrates into fatty acids and this will result in more carbohydrate being used for cellular energy production instead of being stored as fat. Hydroxycitrate Complex (150mg): An ingredient extracted from the Malabar tamarind. Hydroxycitrate (HDC) is usually utilized to provide appetite suppression and prevent the body from storing excess carbohydrates as fat. Camellia Sinenis ext. equiv. dry leaf (500mg): Green tea hiding behind its botanical name. Green tea is one of the most popular diet pill inclusions in the world. It assists weight loss by speeding the metabolic rate and encouraging fat burning. Paullinia Cupana ext. equiv. dry seed (500mg): A fruit extract sourced from the climbing shrub paulina cupana. It is a powerful caffeine provider, but the caffeine is released relatively slowly and this can ensure a prolonged supply of energy and other benefits associated with caffeine (appetite suppression, breaking down fatty tissues). Salix Alba ext. equiv. dry stem bark (625mg): Also called white willow. As a weight loss provider Salix Alba requires further study, but early trials indicated it may have potential when used alongside ephedra or cola nut (neither of which is included in the Thermogenic Burner VS8 formulation). Citrus Aurantium ext. equiv. dry fruit (750mg): Citrus aurantium became a popular fat burning ingredient when a ban on its use made ephedra unavailable. The active ingredient in citrus aurantium is a substance called synephrine that appears to be able to up metabolic speed and trigger fat burning. 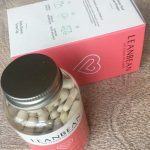 Levocarnitine Fumarate (50mg): Like other L-carnitine providers, levocarnitine fumarate is commonly used in weight loss formulations because its presence is believed to smooth the conversion of fat to energy. Chromium Picolinate (50mcg): A popular chromium providing ingredient. Chromium has been a diet pill regular ever since the 1950s, when early tests indicated its potential as a fat burner. Lecithin (100mg): A fat that is vitally important to the cells in the human body. Natural lecithin sources include egg yolks and soya beans. 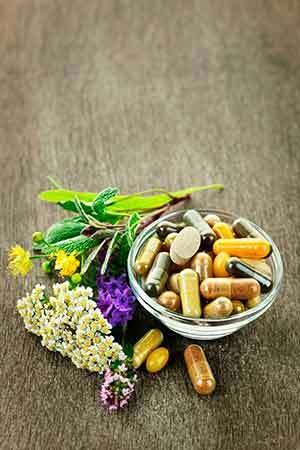 It is often added to supplements because it is believed capable of improving athletic performance. Thermogenic Burner VS8 is designed to support the fat burning needs of athletic users who are likely to train quite hard, so it is easy to understand why lecithin would be considered a worthwhile inclusion. Four capsules are required first thing every morning (within half-an-hour of rising). A further four capsules should be consumed before exercise. The Vital Strength website does not provide any health recommendations or warnings, but even natural ingredients carry the potential for side effects so pregnant or breastfeeding mothers are advised not to consume Thermogenic Burner VS8 or any other form of supplement unless its use has been sanctioned by their doctor. The same advice is offered to individuals who have any existing health problems or are taking medication. 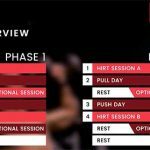 The Vital Strength website fails to state if a money back guarantee is in place, but the returns policy suggests unhappy customers may be able to claim a refund if they contact the company within 14 days from the date of purchase. Customers who purchase from the Vital Strength website can expect to pay around AUD$ 60 to AUD$ 90 (depending on promotion) per 120 capsules. It is also possible to buy Thermogenic Burner VS8 from the Amino Z and Vitamin King online stores. The products which we recommend the most are summarized if you follow the link below. 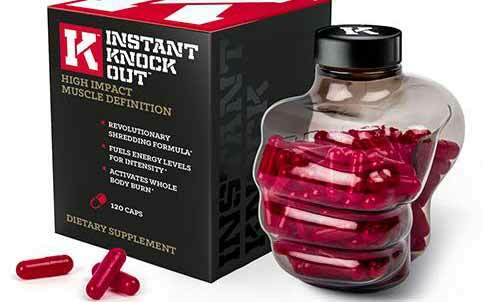 Instant Knockout is currently our favourite, and is in a league of its own. 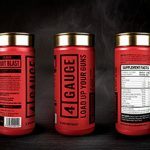 It competes, and can beat, any fat burner on the market, but also contains muscle retaining/building ingredients along with a cognitive boost to enhance your mood and focus.